Seaming machine is a special machine which allows you to seal cans of different lengths. Even the simplest versions of such machines provide a sufficient level of reliability when rolling, absolutely precluding the penetration of air in the banks, and with it the threat of bacteria. 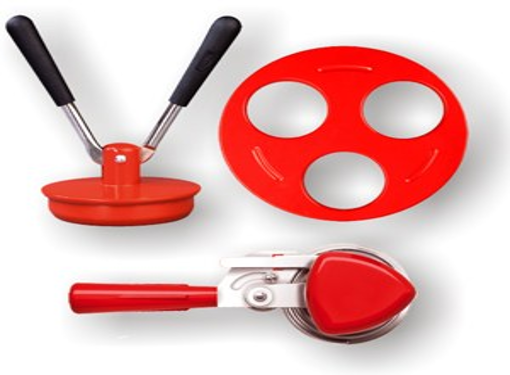 The sealing machines are divided into three main types. For example, you can purchase a desktop machine for rolling with two rollers — a fairly massive box with clamping devices. To roll up the Bank with it, you'll need to cover it with a lid with rubber ring and placed in that same box, placing it close to the hard clamps, and then secure the slot with the turn of the screw. Then put the jar, cartridge machines and quickly, but gently several times to click on the handle, whereby the edge of the lid buckle close to the neck of the container. In the end, you need a circular flowing movements of the handles to roll up the cover until it stops. Another kind of sealing machines — semi-automatic key. These products are available cost effective and easy to use. The process of closing with them is as follows: you have tightly secured the cover to the neck of the jars and turn the key in one direction (6-10 times), until then, until you hear a click. The latter indicates that the Bank is fully closed. But the most easy to use is considered to be the closing key auto type — you need to wear it on the lid, and then, turning in a circle and press the levers a few times. This process will take you no more than 30 seconds — the lid is pressed against the neck of the banks as a result of special springs that are inside the key. Such a device is equipped with a special mechanism that protects the Bank from chipping, and covers from various scratches, dents, etc. In addition to the usual sealing machines available today and the so-called sealing-rolling aggregates — combined model, able to open jars and lids to return to their original shape. The main difference of these devices from conventional seaming machines is the availability of special keys in the set to remove the covers and inserts for their recovery. You can choose absolutely any capping machine, but remember that it must be high quality and durable, have easy pivoting arms, which, in turn, should lie comfortably in the hand. In order to test how effectively a machine for twist cans, first of all carefully inspect the cover — all kind of bumps or dents in the bezel or top is unacceptable. Then turn the sealed jar upside down. If you noticed that upward from cover raised air bubbles from the jar or fluid inside, then the machine is defective and it is best to replace it with a new one.